← Cazorla/Le Coq better than FlamBo? Enter CoqRam as DM-pivot! What to do with the BFG | And who is his back up? I am a huge fan of Per Mertesacker. He lives football, always plays with passion and love for the shirt, is bright, leads on and off the pitch and reads the game so well. His shortcomings are well documented, but what I love about Per is that he made it to the top in spite of these. He focused on his qualities rather than his lack of pace and ability to turn around his own axis quickly, and by doing so he became world champion. The boys will have their work cut out tonight. We get best value out of the BFG when we play deep and compact. In those games the German is pretty much unbeatable with great anticipation of what is to happen next and accurate and decisive interceptions. By playing fast and furious ankle biters around him, Arsene has been able to negate Per’s shortcomings to a large extent, and especially Koz, Bellerin and Coquelin have been a great support for him. When we push up we are vulnerable to counter attacks, especially when we involve our FBs and central midfielders. Per is not one for running back and making a last ditch sliding tackle to save us from a deadly counterattack, and we witnessed another painful example of this on Sunday. Yet, these sort of situations do not happen often any more, and it is fair to say that the central midfielders did not protect the BFG on this occasion. I also remember Kompany of Citeh making exactly the same foul on Rooney a few seasons ago, which led to his sending off and a loss for the blue side of the rainy pooh hole that is Manchester. I reckon Per’s qualities still far outweigh his lack of speed and agility, but that does not mean we should not look for an even better CB partner for Koz. Gabriel looks promising but mostly as a straight replacement for Koz. Can Koz become the new Mertesacker with Gabriel becoming the new Koz? The jury is still out on this, and both look more like Kolo Toure/Keown types than BFG/Sol/Adams types to me. I like to have a pit bull terrier and cool and decisive organiser in our CB pairing and I am not sure whether a Koz/Gabriel combo would offer this. So who else offers cover for the BFG? You would say Chambers is the right type, but he is young and has a long way to go. And this makes me worry about our cover options in case of a serious injury to PM. Love him or hate him, Per is a vital player in our team and finding good cover, and eventually a suitable replacement, is paramount. Who that should be is very hard to answer, but what do you think Fine Fellow Gooners? 19 Responses to What to do with the BFG | And who is his back up? With Le Coq’s imminent return to the lineup we will see more deep lying players and less of players up front. So, BFG can breathe better and not worry about his form anymore. Gabby looks like he likes the right side of the defense better than the left, and Gabby and Kos pairing, abeit the lack of height to challenge dangerous high balls, is more than fit to take care of the area in front of Cech. I’ve always been a Big Friendly German fan, despite his many detractors. His organisation skills and unfussy interceptions, are often overlooked by his critics, who focus on his lack of pace and slowness on the turn. John Terry is of a similar ilk, but Mikel and Matic never deserted their post all afternoon and gave him the protection he needed last Sunday. If you play Mertesaker, then it’s blindingly obvious that you don’t leave him exposed. A young understudy, of the stopper variety, would be handy though. Matthias Ginter of Borussia Dortmund was one who we were linked with 18 months ago. I believe he’s quite a tall, commanding defender. Per mertesacker is too clamsy to be a professional soccer player, if was from Asia, Africa or latin, he would not even make to 1st league, but being from Europe has its purks, he plays for a top 4 team. Wenger has his way of selecting players, you don’t have to be a great player, but someone with few followers to bring the numbers high. 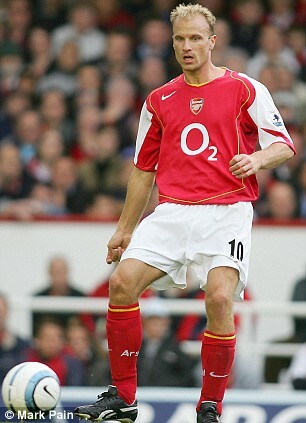 If it was for greatness, Resicky should play every Arsenal game. Resicky is one of the top 10 mid-field players in Europe, but Wenger wasted his golden playing years on the bench. The funny part is that Wenger lable players as injury prone, but the problem is when players don’t get playing chance their moral will be down and when they are called for 5-10 minutes they will be prone to injury. I hope wenger will reflect to such comments and realize his errors in his team selection. I realize the difficulty coaches face sellecting players, but making the same error time and time again is plain wrong. Arsenal Fans would very much like to see Resicky (Mozart) playing again. That is a vote then for Gab-Koz then?! Don’t know the Ginter chap, Kev. Did you see him play? I really like Stones of Everton. There is a young yet more mobile Per in him, but he would have to come soon so we can groom him. When did you see Rosicky last on the bench? Gab/Kos as my Plan B, after Le Coq’s back. Plan A is still Per/Kos. I agree there are some players that Wenger has wasted…e.g if not coz of injuries Arteta was always in the team over Le coq, chamberlaine over campbell and even Rosicky when fit is better than many guys in the team. Any player benched for long leads to rust n injuries. Wenger needs to play Gabrie frequently in place of PM so that he gels with Koz. Blazor, it’s a moot point if BFG would have ‘made it’ outside of Europe mate. Watching the Germans dismantle the Brazillians in the World Cup, doesn’t that make you wonder if the Europeans might have it right…? i cannot believe what i am reading! Mertisacker is the worst defender in the premier league! Pascal Cygan was better than him! He has cpst us so many points with his awful defending and lack of ability to run or pass a football. The man is a total waste of space! Play Chambers and we might uncover another Jon stones? noy gonna improve unless he plays. THE BFG wont improve he is garbage. If i was Gabriel i would leave… if he aint better than a man who is as mobile as a brick wall he may as well quit. Total, I’ve not seen Ginter play myself, just one of those little snippets that you see. He was at Frieburg when he was linked to Arsenal. He just looked/seemed a classic Wenger signing at the time. Since then he has moved to Dortmund and played for the German National team. “You can’t teach size” – love it Seventeenho, and so true. Is it true that Cahill wants out? If so let’s snap him up. I have always liked him and his relationship with Cech and Koz could develop in something extraordinary over time. Good point about who will cover for BFG this Saturday. Chambers seems to most likely option indeed. Debuchy maybe? Per’s weakness is glaring, but his strengths which are many are so subtle that they escape the uninitiated. Talk about his ability to kill an opponent’s attack by shear positioning. Or his skill in anticipating and intercepting a pass, so much more effective than a tackle in the sense that your team is able to launch an attack while the opponents are still not shorn of their attack mode. Or his incredible awareness of being able to pick the exact moment to step forward to make the opponent offside. And least we forget he dominates the air without having to leap and of all our CDers he is the best at passing the ball out of the rear. 100 plus caps for Germany means that these subtle qualities are held in high esteem by the initiated and Wenger belongs to that fraternity. There is a technique of Per’s that I want to highlight. It took me time to grow into it. Per is the master of the judgement of probabilities. For example when he forces an opponent to assume a narrow angle to our goal, despite knowing that that player has, say, a 10 % chance of scoring he allows him to shoot. In comparison he reflexly understands that attempting to block or tackle could cause a deflection, an infringement and a booking, or the attacker even getting past the tackler. Possibly born out of experience he appreciates that the negatives of the block/tackle outweigh the negatives of allowing the man to shot from that angle. That ability is perfect discrimination and shows a mastery of the art of checking the rush of the blood to the head. Ironically this his masterful acquisition went missing in that Costa tackle. It was most uncharacteristic of him. Possibly that glance towards either the linesman or Kosh fractionally undermined his judgement. IMO, Per remains a valuable member of the squad. The day we will play Leicester, who invite the high line only to let loose the incredibly fast and athletic Vardy behind the defensive lines, will find me praying ferverently that Per be found sitting on the bench. I would also add something that should be part of Laurent Koscielny’s biography. I think that, while Koscielny’s pace has bailed Per out many, many times, it was Per who has enabled that Kos’ qualities get used in the best possible way. When Kos was paired up with Vermaelen, it was usually a double trouble because they were the same type of a central defender. Koscielny’s positioning has led him to many, many conceded penalties and own goals, especially in his first two-and-half seasons at Arsenal. From the moment his partnership with Per was established, Kos has turned into a world-class central defender. I would like to see him as an Arsenal coach so that CC21 becomes a new Per. He is comfortable with the ball and has height. He has to improve his positioning so that two own goals from this season don’t become his routine. (Speaking of Arsene, I have to make a digression. His namesake Arsen Dedić was one of the best Yugoslavian musicians of all times. He was a funny man, extremely intelligent yet too hedonistic for his own good. An artist.